Cook the mac and cheese according to package directions. Meanwhile, preheat the oven to 375°F. Line a baking sheet with parchment paper or coat with cooking spray. 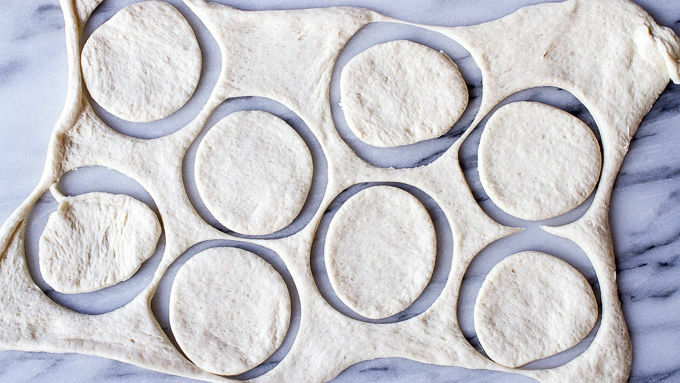 Unroll the pizza dough onto a floured work surface, and roll to a 10-inch by 13-inch rectangle. Using a 3-inch round cookie cutter, cut out 12 circles. Place the rounds onto the prepared baking sheet. 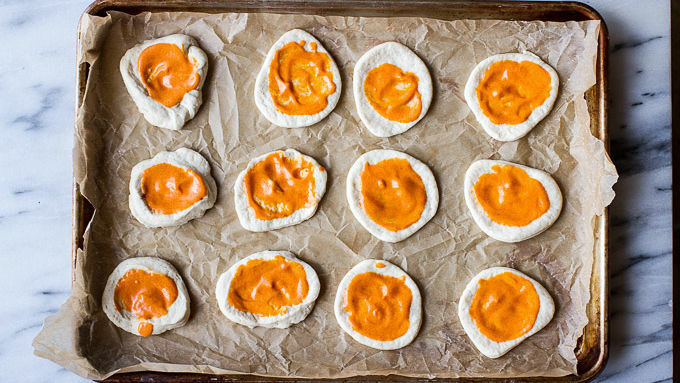 Spread each dough circle with 1-2 tablespoons buffalo sauce, spreading to within 1/4-inch of the edges. Now stir the shredded chicken into the cooked mac and cheese. 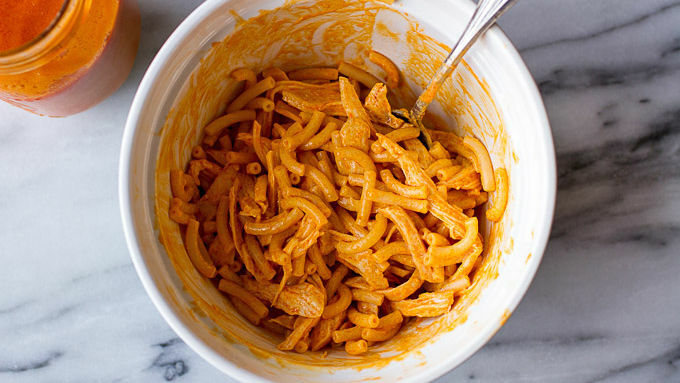 Add about 1/3 cup buffalo sauce (or to your taste) and mix to combine. 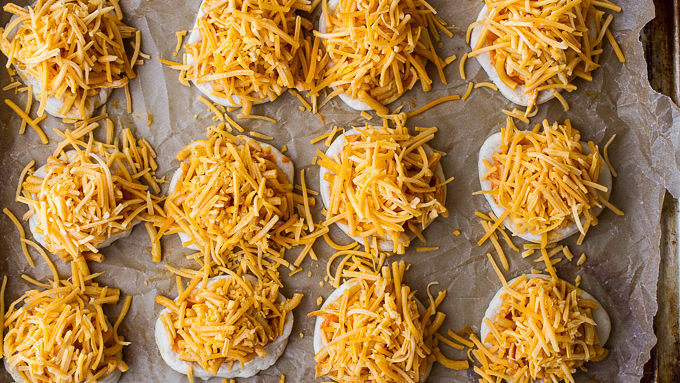 Divide the mac and cheese mixture among the mini pizzas. Don’t be afraid to really pile it on! You may have a little mac and cheese left over. Add the cheddar cheese and jalapenos. Bake for 12-15 minutes or until the cheese is melted and lightly browned. Remove and top with fresh cilantro, green onions and crumbled bacon. Serve with extra buffalo sauce. If desired, you can also make a single, large pizza. Follow these same directions, but bake the pizza for 20-25 minutes. For a vegetarian pizza, leave the chicken and bacon out. 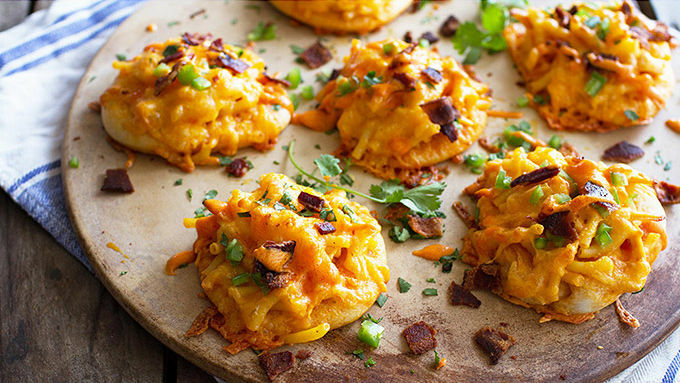 Mini pizza rounds are topped with creamy mac and cheese and spicy buffalo chicken in this easy party appetizer. The end of long, warm summer days can mean only one thing. Of course fall is on its way, but along with it? Football! Watching a Sunday night game can be cozy and fun, but for me, the best part about game day is making (and eating) all the great football eats! 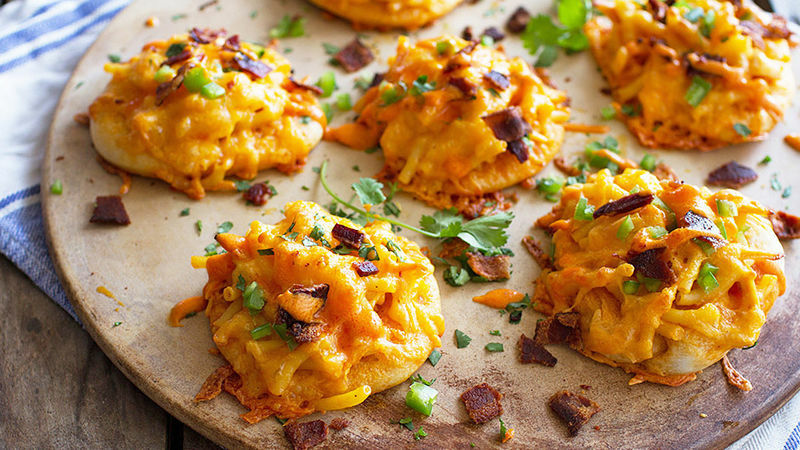 So that’s why I'm going to tell you about these incredible mini pizzas loaded with buffalo chicken, mac and cheese. There's even some bacon on top too. Do I have your attention now? Enjoy game day the mini pizza way!